Camp is a game where both children & adults can play & learn fun facts about the great outdoors. The game is designed to grow with the player, starting at level one questions, which are primarily identification of animals. As the players increase in their knowledge about the outdoors, they grow into the higher level questions. 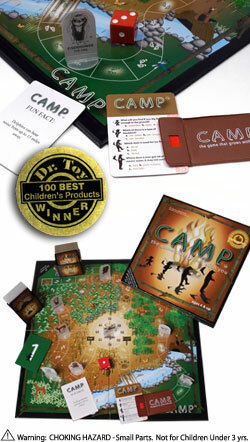 A fun & educational game where parents & children can play against each other to get to Camp first. Game includes: 1 game board, 199 game cards(400 questions, and 99 fun facts), 1 decoder, 8 game characters, 1 die, 16 level cards, and 1 compass card. My father is a born outdoorsman, he just loves nature and loves to camp. He has been telling my daughter the wonders of camping since she was a baby or so it seems. I know my father’s heath has been failing and he is just not as strong or as healthy as he used to be, so an actual outside camping trip with my daughter may never happen. But there is something special they can do together, Camping the board game. I love games, they get my daughter away from the TV and her video games, real board games it gets her to think and have fun the old fashioned way. This was a Winner of the Dr. Toy 100 best children's products. My daughter was able to test the game out with grand pop, and they both had a great time playing the game. Camp the board game has 4 levels of questions so it is great for younger children and adults. A game that grows with you and it appeals to many age levels. I love that, “ It is our mission to bring families together to interact and learn about the outdoors.” What a great mission, that is my mission as well. Kids just spend too much time in from the TV it is just not good. The game is fun and educational. You can learn a lot about the outdoors, and camping. 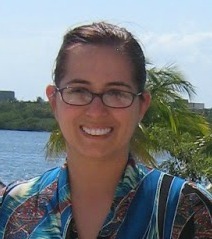 I did not do so well with the game, I am a bit rusty with my outdoor knowledge, I have to brush up on my skills. The Camp Board Game costs $24.99 and you can buy it at the Camp Board Game Website. A game that the whole family can play from young kids to grandpa, that is a great thing. So if you are looking for a gift for that nature or game lover in your family this would make a great gift. 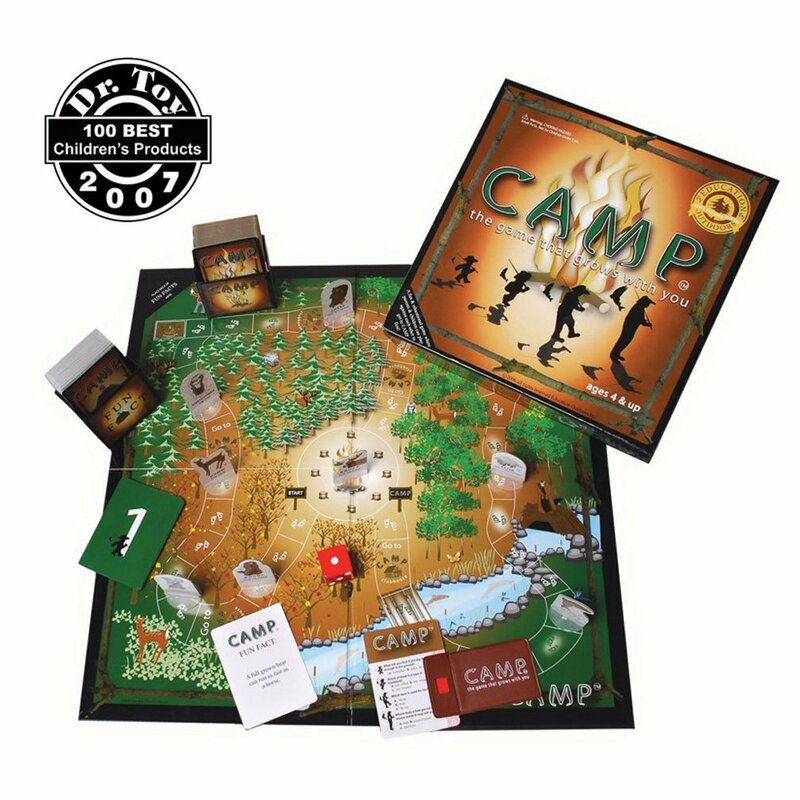 With the holidays right around the corner, they will be here before you know it, make sure to pick up a Camp board game for that special someone on your holiday gift list this year.